The Atola Insight's Case Management system automatically records every step of the data extraction and acquisition process. 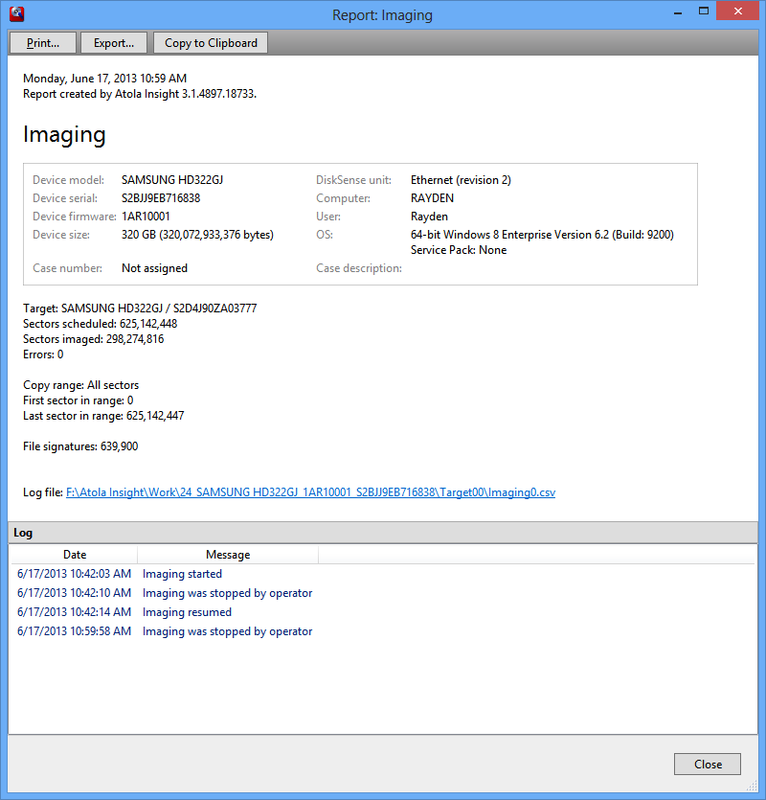 Every action performed is automatically recorded (including date, time and hash values) and filed under a unique case number. When a hard drive is imaged, a media map is recorded that details all sectors that have been skipped along with other vital information. 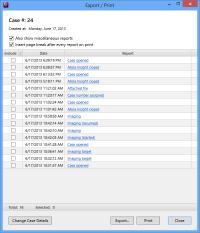 Case notes can be added at any time with one click of the mouse to log information such as the case technician or owner of the hard drive. 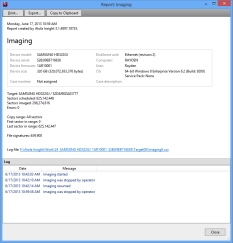 When the operator connects a hard drive to the Atola Insight, the tool makes an automatic database look up and retrieves all past records associated with that particular hard drive. New data will be added seamlessly with dates reflecting all recorded data. All reports, firmware files, notes and logs related to a case are automatically saved and can easily be retrieved at any time. 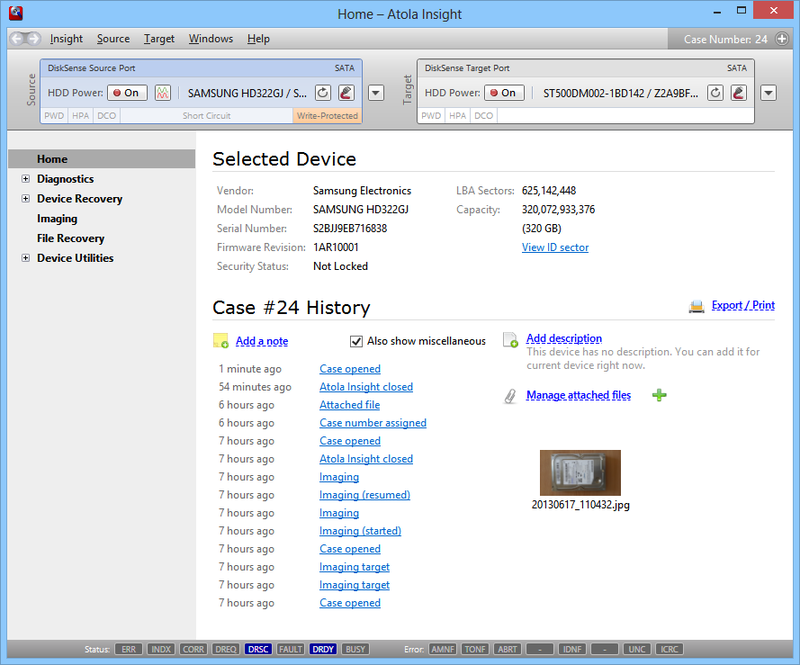 Any past forensic or data recovery case can be pulled from the Atola Insight quickly and easily at any time. 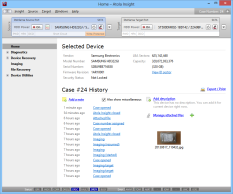 Just search the case management archives by case #, hard drive model, or hard drive serial #. After a case is selected, the operator can continue work on it or add notes. 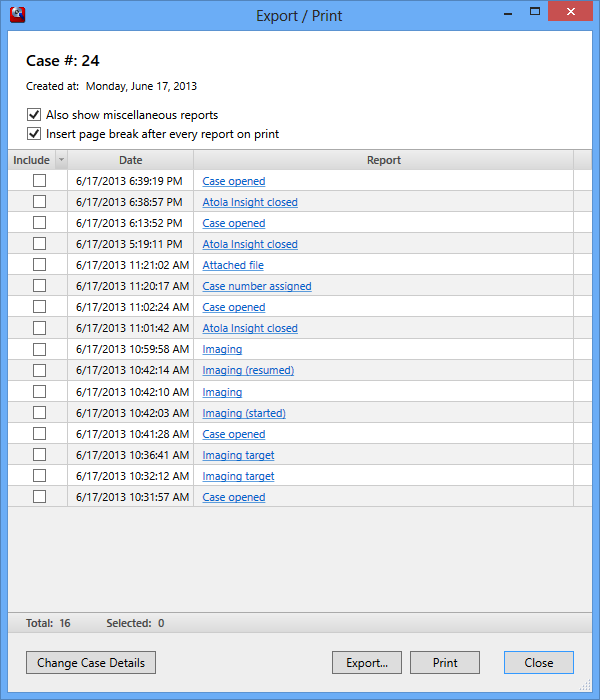 All or only selected reports can now be printed (or exported to rtf) via the new Export / Print function.